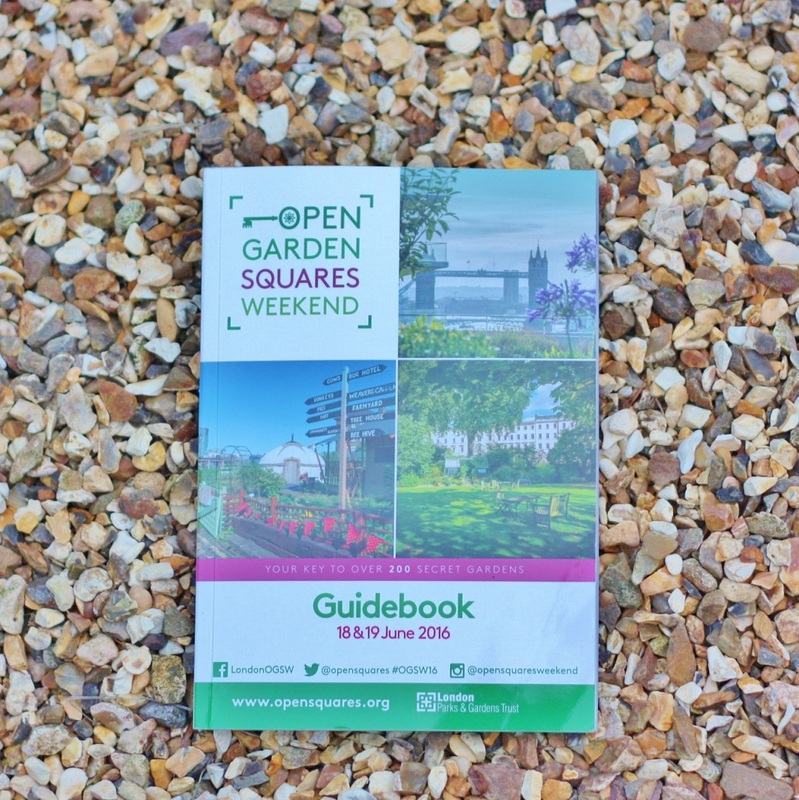 “When shall we start cracking on with the en suite?” asked Alice, pondering if the chaos and mess that would descend on the house could be dealt with that weekend or whether it would be more sensible to wait for an extended period where they could really get their teeth into it? 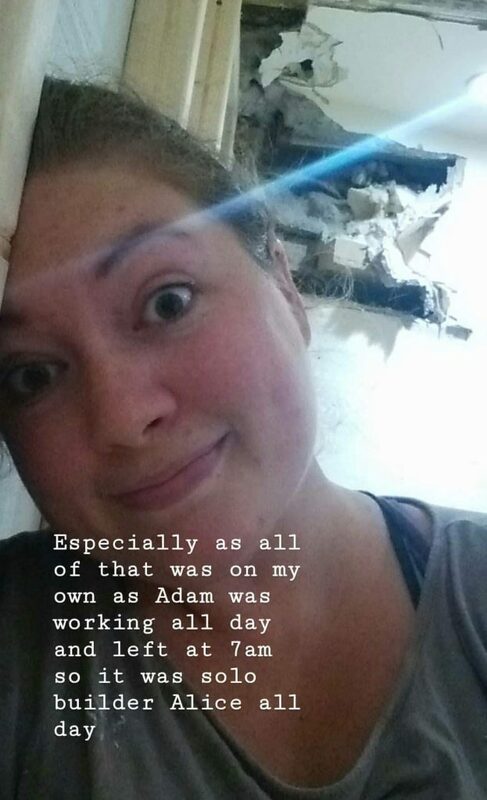 “How about right now” Adam replied, eagerly running up the freshly stripped wooden staircase into their irrationally sized bathroom. 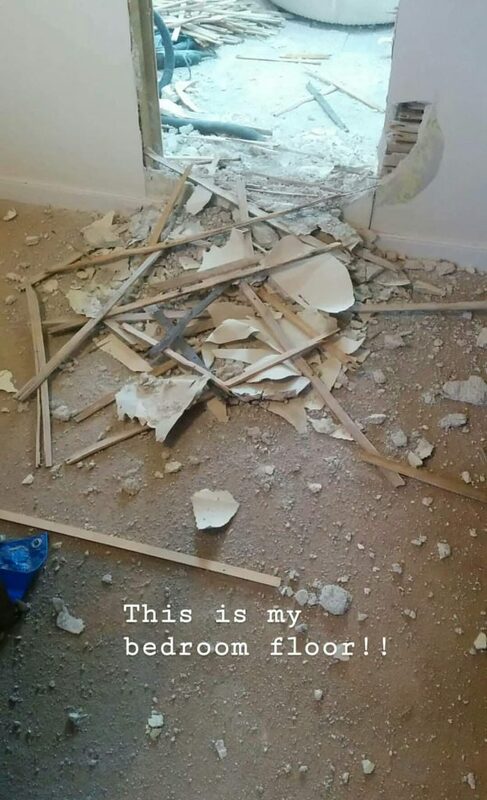 …that folks, is how I’ve spent the last two weekends utterly caked in dust, our belongings in chaos, and miraculously how a hole has ruptured between our bedroom and bathroom, and three new walls have appeared! We knew when we moved into our idyllic cottage in the countryside that it would be a long term project, one we’d be working with for, well, at least ten years I reckon. So far, 15 months in, we’ve done a lot, but mostly jobs to make it more liveable. The boiler needed fixing, and we lined the chimney to install a log burner, we’ve fixed broken windows and done up my office so it would be a nice place to work from home. 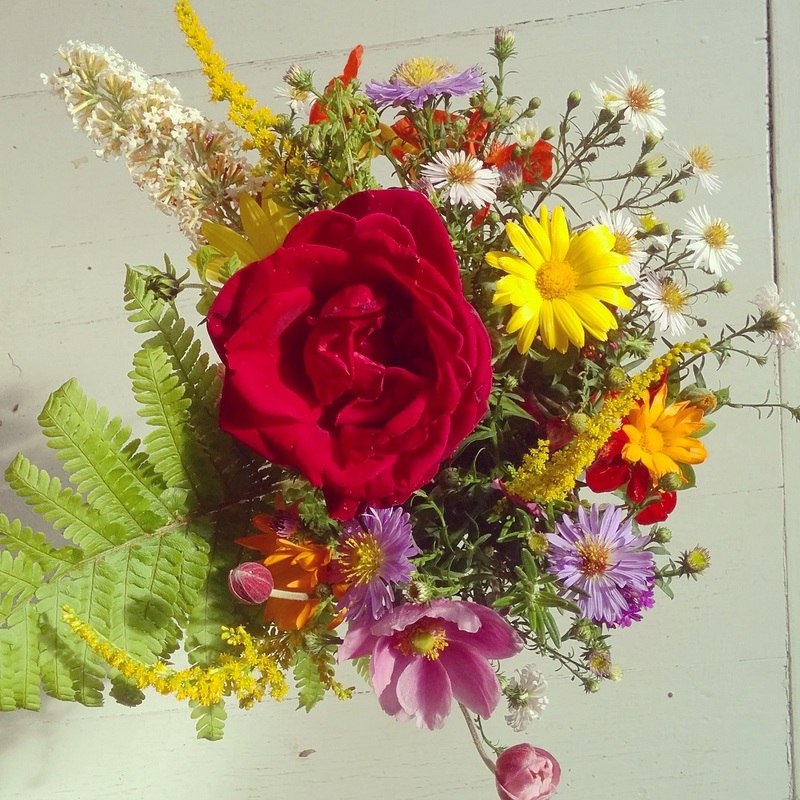 We painted the house, tamed the wild weeds in the garden and created a little haven for growing fruit and vegetables this summer. These, along with what seems like 2736485 other jobs, have kept us busy over the last year. However, now was the time to bring in the big guns and actually build a whole new room. 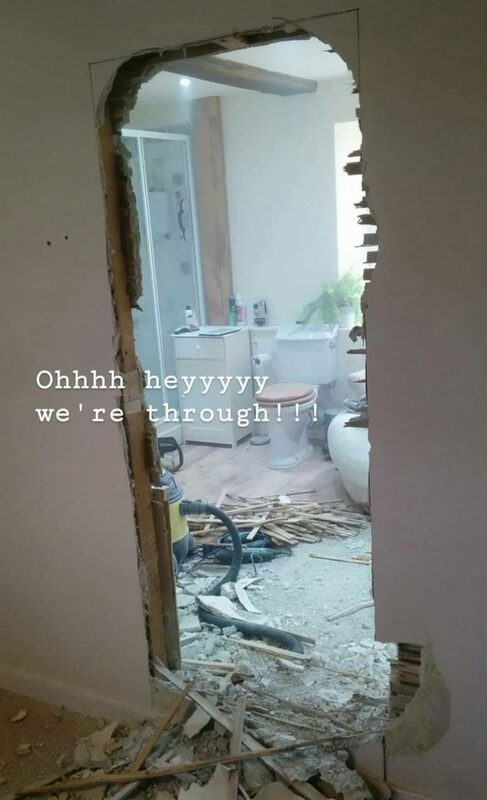 You may have seen a while back on my insta stories that I did a Sunday morning tour of our ridiculous bathroom, or maybe you caught up with this post which shows what we were planning in pre-demolition state. 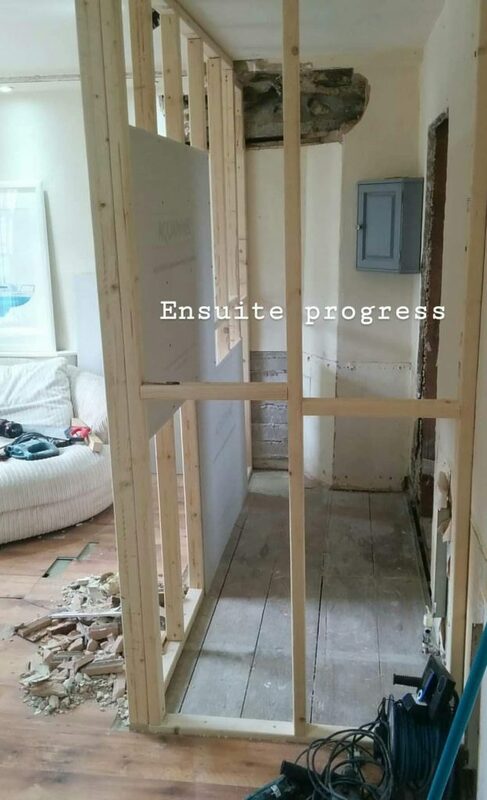 The idea has always been to utilise the space better and add in a small en suite to our master bedroom, so here we are, learning and YouTubing as we go, building our extra bathroom. 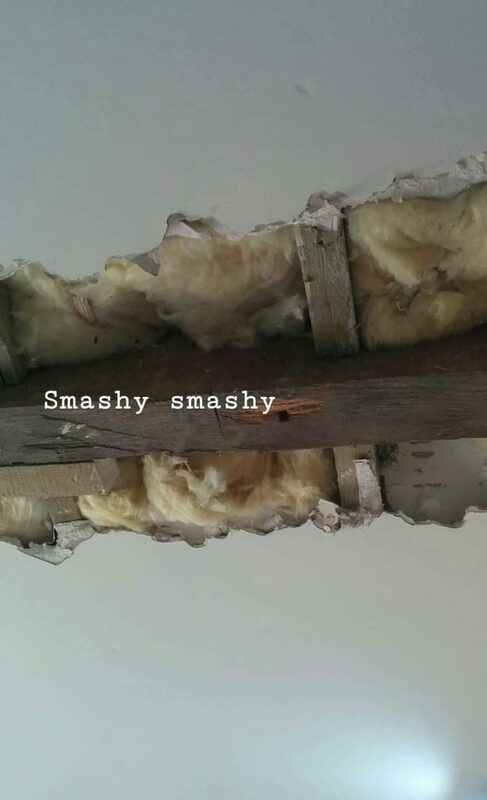 So far we have smashed through the wall (checking beforehand if it was supporting, which *phew* it wasn’t!). 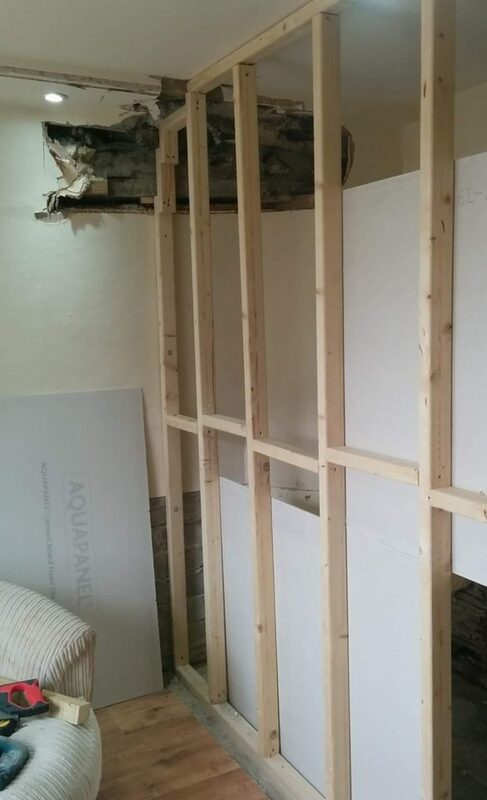 We then took up the old floor, so we would be able to work straight from the original floorboards and joists. 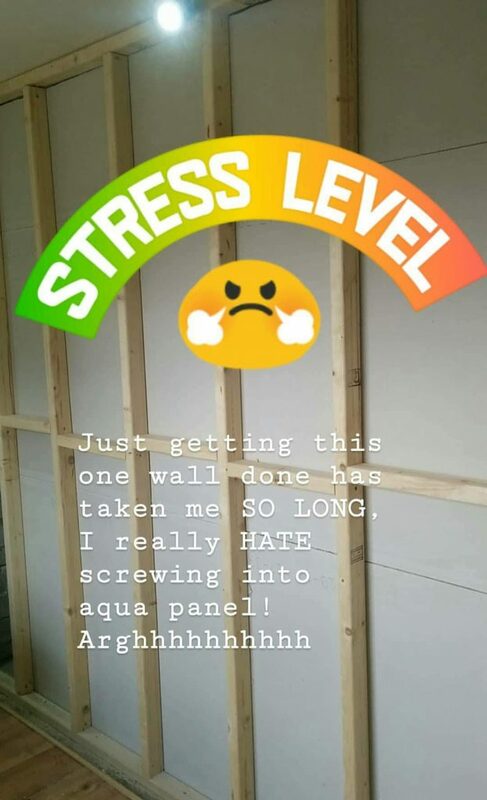 Adam built a stud frame for the three walls of the en suite, and I spent the day swearing as I struggled to screw aquapanel onto the inside walls (it’s got fibreglass holding it together and for some reason I just found it so hard to get the screws to catch). 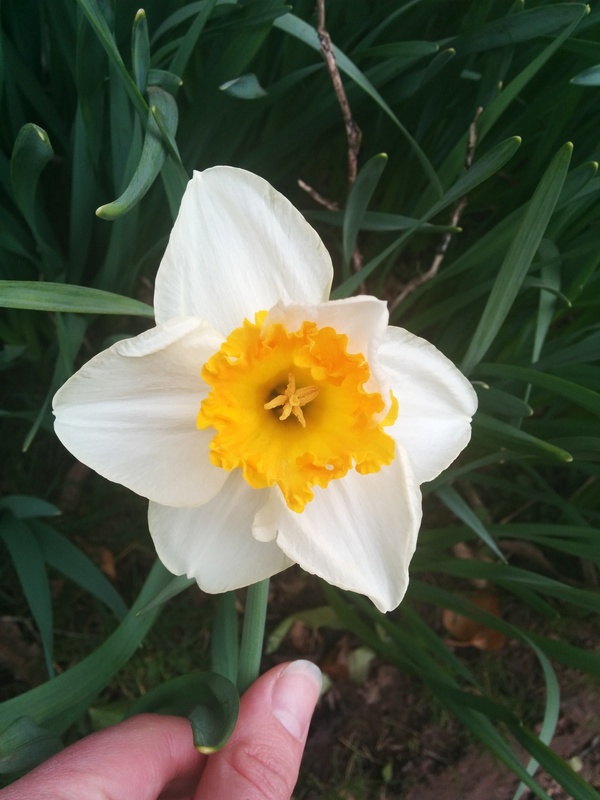 This then resulted in a short frustrated cry on the floor before I pulled myself together and got on with another job for a bit, got some fresh air, made myself lunch (at 5pm!!) and low and behold it went a lot better the second time around. We’ve researched installing wet underfloor heating, panelled the ceiling, and chosen our tiles for the walls and floor. I’ve found making all the little decisions quite intense, but we were adamant that we wanted to make it modern, bright, and as energy efficient as possible, such as these GU10 LED bulbs from LED Hut*. 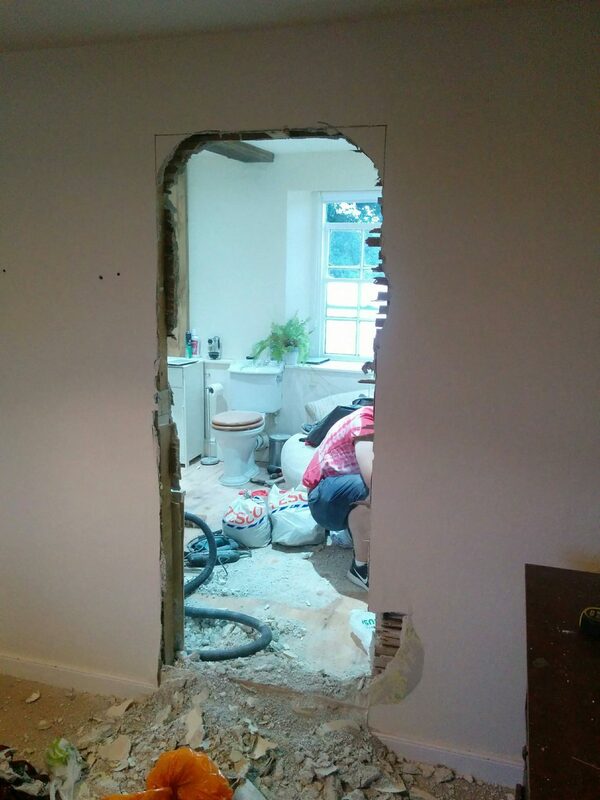 With renovating, as ever we’re doing as much as we possibly can ourselves, only getting help when we need it. 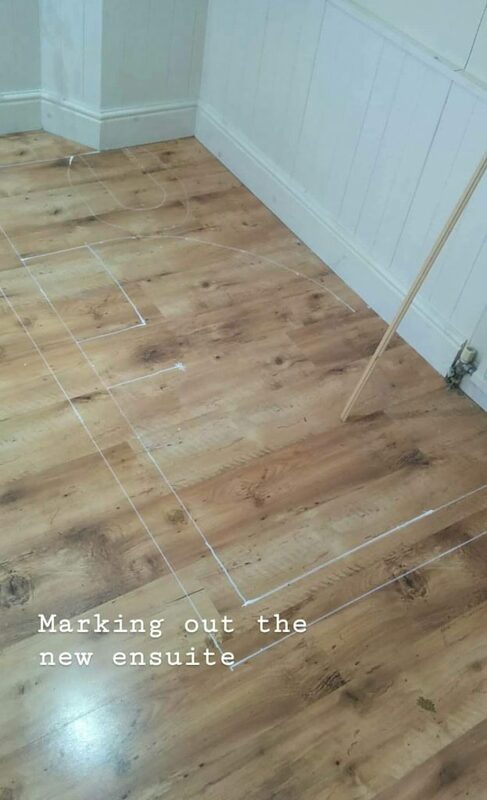 Adam’s also a stickler for checking everything against current building regs, so it’s been great for me having someone research everything to make sure we get it right. 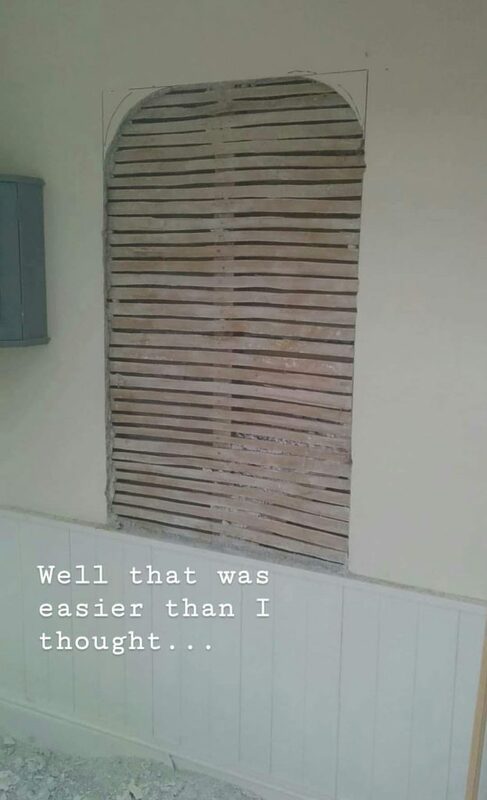 This luckily isn’t the first bathroom we’ve ever done up, having completed one in our old flat before, but as we’re starting completely from scratch with the en suite, it’s been a learning curve. 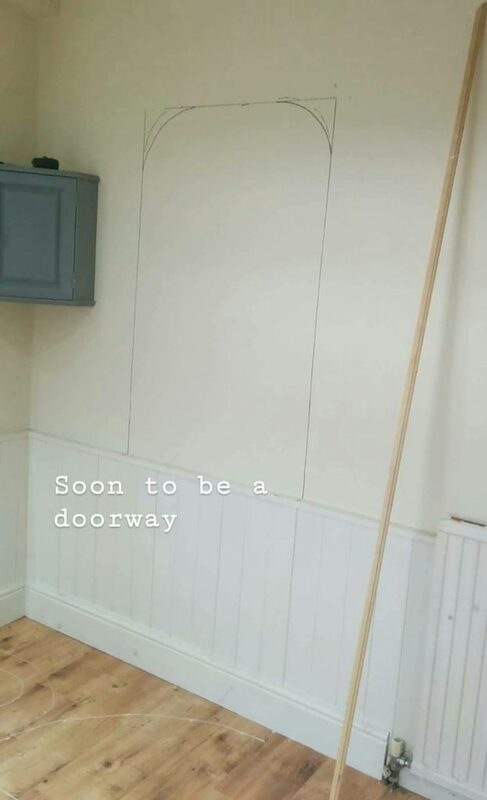 I wish I could say that we’re done and show you the finished product, but the truth is, we’re two weeks in and have only just started, mostly as we’ve only got our weekends to work on it. Watch this space, the renovation diaries will continue and I’ll keep you posted! Onto the next chapter...as a geography teacher!